Our house opens up to four large rooms plus a patio that is easy to furnish (start with over 50 pieces, including an upright piano), and includes a movable staircase and an expandable floor. At night, flip on the two light fixtures. Who lives here? 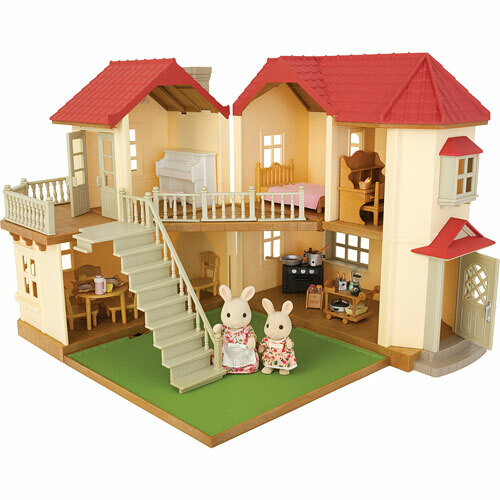 Two Calico Critters rabbits–and there are lots more families and furniture sets available. Requires 2 AA batteries, not included. Please note: This item is not available for shipping. In-store pickup only!